We’d love your help. 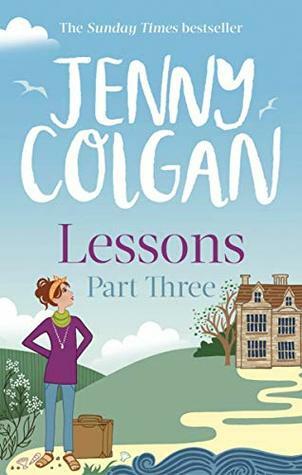 Let us know what’s wrong with this preview of Lessons by Jenny Colgan. The unmissable third and final instalment of Jenny Colgan's return to the Little School by the Sea - perfect for anyone who ever dreamed of going to boarding school! To ask other readers questions about Lessons, please sign up. I feel as if I’ve been waiting forever to find out what happened to Maggie and David, it was worth the wait! There’s a big but here though is there going to be another book where we find out what happened? I’ve enjoyed all of these books, an older version of books I enjoyed when I was young. Keep up the writing Jenny! I am totally confused. It just ends, with a leader line but with the knowledge that there is not another book to follow. Is it me, am I missing something? I liked it, want to know how it ends (OK, so I DO know how it ends, but I want to READ how it ends)!